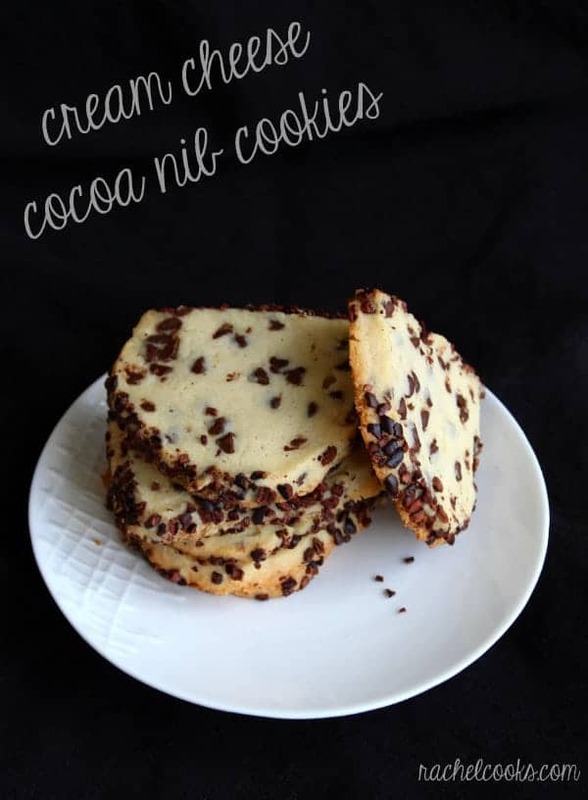 Are you a cocoa nib fan? I was recently introduced to them compliments of Scharffen Berger. So far I’ve only used them in sweet treats, but I can’t wait to try them in some savory dishes. 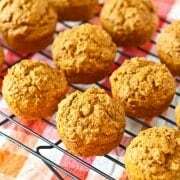 They lend not only terrific flavor but also a fun crunch to the outside of these cookies. If you don’t have them and still want to make these cookies asap (as you well should), you can skip the cocoa nib step, or roll them in some fun sprinkles to make them extra festive. 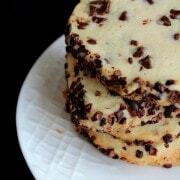 Keep these cream cheese cocoa nib cookies in the freezer. Slice and bake them when you need a quick dessert. Whisk flour and salt in a large bowl; set aside. Place butter and cream cheese in the bowl of an electric mixer. Using the paddle attachment, beat on medium speed until pale and fluffy (approximately 2 minutes). Add sugar and vanilla and mix until combined. While mixer is running on low-speed, add flour mixture, and continue to mix until just combined. 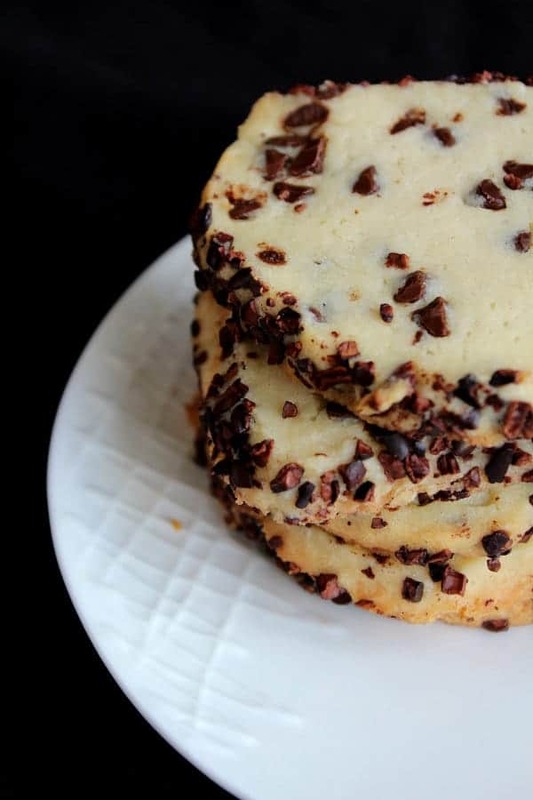 Mix in mini chocolate chips. Transfer half of dough to a large sheet of parchment paper. Shape into a long log about 2 inches in diameter. Wrap in parchment paper and repeat with other half of the dough. Freeze until firm, at least 30 minutes or up to 2 weeks. Preheat oven to 350 degrees F. Unwrap one log, roll in cocoa nibs (pressing lightly to adhere), coating lightly. Cut into 1/4-inch-thick rounds. Space approximately 1 inch apart on baking sheets lined with parchment paper. 4. Bake cookies until golden around edges, 16 to 18 minutes. Let cool slightly before removing from trays and letting cool completely on wire racks. Verdict: Loved them! I love the flavor the cream cheese adds. It makes these different from your average shortbread cookie. Husband’s take: He liked these too, said “Wow, those are rich.” Of course, if he had it his way he’d be eating his plain ol’ chocolate chip cookie. Can’t say that I blame him, but I love some variety. Difficulty: Easy, especially if you don’t care if they aren’t a perfect circle. They are rustic. If you want perfectly round cookies, Rachel has a great tip in this post. I honestly just didn’t have room in my freezer. 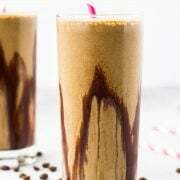 Mocha Protein Shake Recipe – extra protein! The grocery store or online! Most likely in the baking aisle. Oh my heavens! These look insanely amazing! I am all about these! NICE job and I bet they are rich – my kinda cookie. Pinned! Thanks for the pin, Averie! i love cocoa nibs – yum! would you believe that i’ve never tried making slice-and-bake cookies? i’ve been meaning to, since they seem so much quicker than the scoop-out-each-individual-one kind, + turn out so pretty. These are totally my style – will have to try these! these look REALLY good. i love the little specks of chocolate scattered throughout! These look absolutely heavenly! 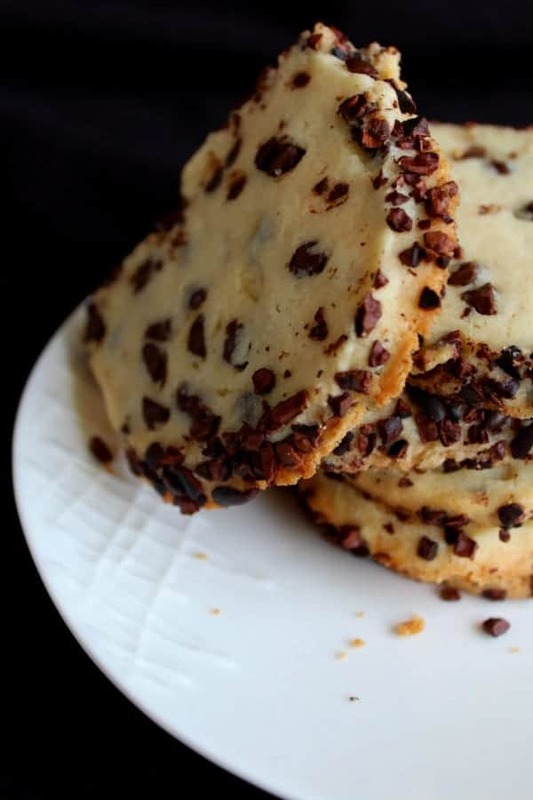 And I have yet to bake with cocoa nibs so I will most definitely have to try these soon! Mmmm, love the idea of cream cheese in a shortbread cookie! I bet it gives it great flavor and texture! Thank you! 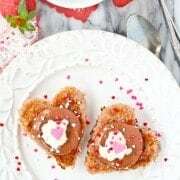 It is a terrific combo, and so easy to make! Yummm! Look so lovely and very simple. I’ve never baked with cocoa nibs so this is on my recipe list. These are so pretty! I need to pick up some cocoa nibs soon! Oh WOW! I am missing out! I totally must get in on this nib thing. Love that these are slice-and-bake! So fun and easy! Cream cheese cookies? Holy cow, I need the whole stinking batch. Amazing!! These look amazing! I have a big paper bag of organic cocoa nibs sitting in the pantry with these cookies written all over it. I can’t wait. I have never had a cocoa nib, but I now know I need to try them!! These look awesome!! I love slice-and-bake ANYTHING! And the cocoa nibs… gah! Heaven! Oh these really do sound delicious Rachel! 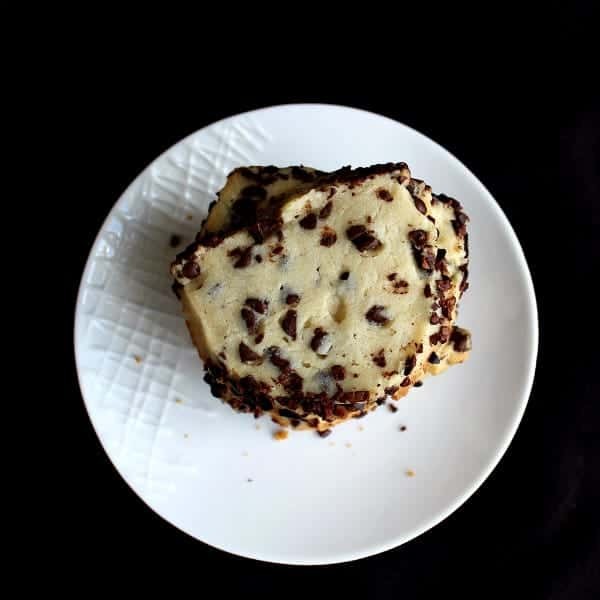 I love the crunch of cocoa nibs and I bet it goes so well with the cream cheese in the cookie.